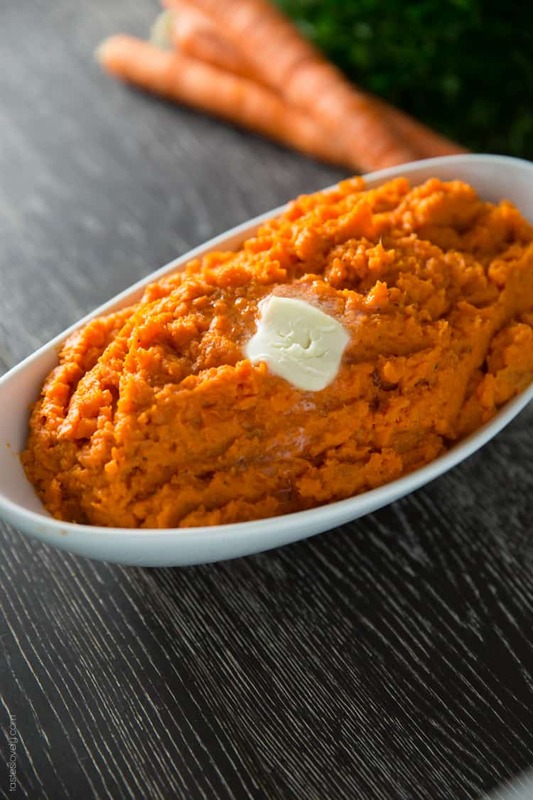 Healthy mashed carrots make a great low carb substitute for mashed potatoes. Creamy, velvety texture that is full of flavor & low in calories. Our Christmas trip to Mexico is now officially 1 month away! But there’s a small problem. Do you know how many starchy, sugary, carby foods are going to be served up between now and then!? Between Thanksgiving next week, and many holiday parties in December, I’m not sure how great Shawn and I are going to be looking in our swim suits by the end of December. It’s like temptation central! In order to combat this, we are currently off sugar, and trying to avoid carbs. That way, when we indulge at Thanksgiving and holiday parties we won’t feel so guilty. It’s all about balance, right? For dinners we’ve been eating lots of lean protein and vegetables. 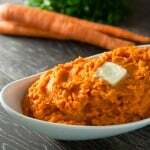 One of my favorite side dishes are these healthy mashed carrots! Extremely low carb, and sugar free. 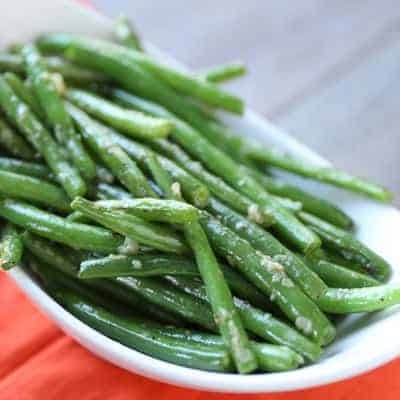 They’re a great substitute for mashed potatoes or mashed sweet potatoes. I’ve made mashed cauliflower in the past, and while they taste great and certainly look like mashed potatoes, the texture has never been the smooth and velvety texture of mashed potatoes. Solution? Mashed carrots. You cook them exactly like you would mashed potatoes, and by using an immersion blender they get perfectly smooth and creamy. Just the texture you want. Unlike bland potatoes, carrots already have a ton of flavor. I just season them with a little butter, chicken stock, salt and pepper and they taste amazing. Plus, you don’t even need to peel the carrots, which was my least favorite part of making mashed potatoes. Just give the carrots a good scrub under the sink, and they’re good to go. Chop the carrots into even sizes, about 1″ pieces. Boil in the water for about 15-20 minutes, or until a knife can easily be inserted and removed from the carrots. Drain the water, and add the carrots back to the pot. Add in the butter, chicken stock, salt, pepper and garlic powder. Mash the carrots using a hand masher until evenly mixed. To get the carrots extra smooth, puree the carrots using an immersion blender or food processor. Taste to see if they need more butter or salt. Serve warm. Haha! I totally here ‘ya on the swimsuit thing. My family and I are going to a resort waterpark practically RIGHT after Thanksgiving next week of all times! That being said, I’m pretty sure I could LIVE on these gorgeous carrots until then! Loving how smooth and creamy they look—such a nice change from the usual mashed sweet potatoes. ;) Pinning! I love the idea of mashed carrots, Natalie! I’ve never thought to do that, so I’m loving this recipe! Sounds like such an easy way to make these, and the flavor sounds incredible! Loved the video too – you two are quite a team! This sounds great! I never would think to mash carrots, but these look creamy and delicious! Definitely a heathy sub for mashed potatoes :) pinned! This is such a great idea, Natalie! 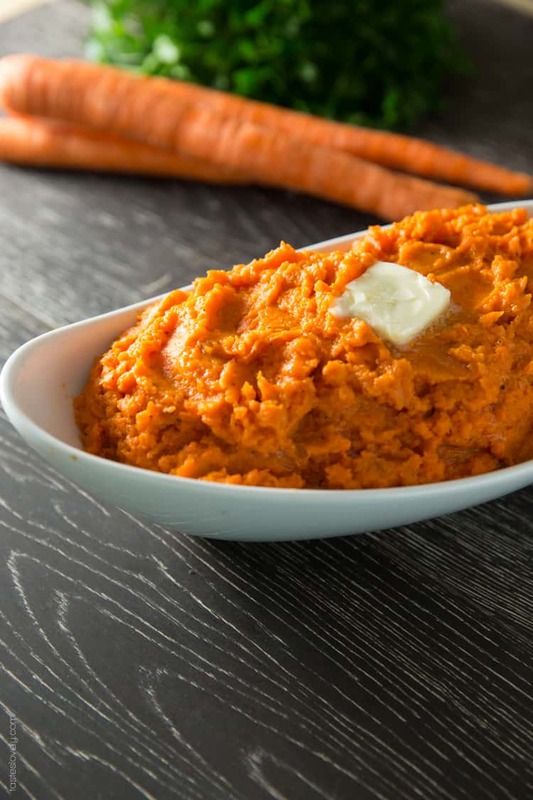 I love that you mashed carrots, that’s such a nice change and makes a healthier side dish! They look so creamy and the color is gorgeous! I’ve never mashed carrots! Well, except when they were babies. I will try this soon. I’m sure I’d love it! these look great, welcome change from mashed potatoes! This is such a great idea for a healthy spin on mashed potatoes. I can’t even imagine if I were trying to be swimsuit ready in a month’s time! I need 6 more months still….You’ve got some serious self-control. I hope you have a fabulously relaxing time on the beaches of Mexico! 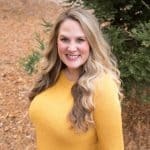 You are going to hav such a great time in Mexico and since there is so much delicious food in your near future don’t even stress about the bathing suit thing, just enjoy :). We booked a cruise for March and I told Kurt that after the holidays are over we are eating like birds. These mashed carrots are a must make for me. I can eat carrots in any form but have never tried them mashed. Sounds like a good idea. Oh my gosh, why have I never thought of this?? These sound so good! I can’t believe you guys are going to Mexico for Christmas. SO FUN!! My entire family is staying a few days in SF. It’s going to be awesome! Yay for the holidays! These sound delicious! I have never tried mashed carrots, but I think I will now! Love the color! Love that video Natalie. And carrots…I would have never thought of them. 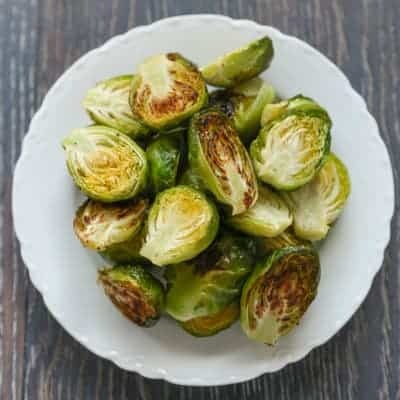 I love them in soups, raw, and roasted so mashing them is a no brainer. Great photos! Oh man. I’d love to be heading off to Mexico but I’m not sure about putting on a swimsuit for the next 6 months or so. Lol. These carrots looks incredible! Nat, I’ve never had mashed carrot. Looks so nice and of course healthier than mashed potato. Thanks for this recipe. Pinned! I love this idea for a side dish. I love cooked carrots so I’m sure this will become a quick favorite of mine and it is a great substitute for mashed potatoes. Well, at least sometimes! Have a great weekend! 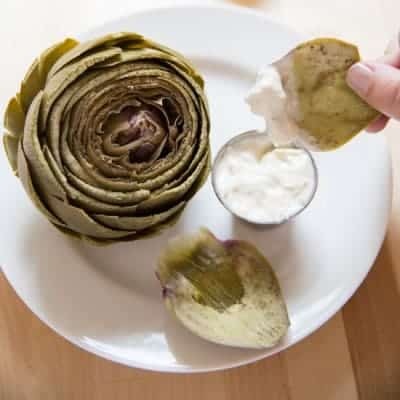 What a fun alternative to mashed potatoes or yams!! Carrots have so much flavor, they can definitely hold their own on the thanksgiving table!! Love this! I love carrot so much, I can eat it daily. And what a great Idea to make mashed carrots. Can’t wait to try this healthy dish. You’re going to love it! Thanks!